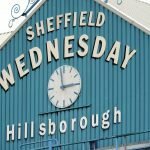 Following on from disappointment against Aston Villa in our last game, manager Steve Bruce saw his Sheffield Wednesday side produced the almost perfect performance yesterday evening as we took an ultimately comfortable victory over Nottingham Forest to keep outside (and unexpected) Play-Off hopes alive. After a goalless first half battle, Marco Matias helped himself to a brace in the second 45 and sandwiched between his efforts, George Boyd also got himself on the scoresheet to ensure a 3-0 victory and a return to winning ways after our unbeaten run came to an end. Statistics website Whoscored were incredibly positive in their player ratings after the end to the game, but with two goals to his name, Matias obviously took their star man award with a score of 9.16 for his efforts on the night. Completing the top five best performers in their system were Boyd (8.09), goalkeeper Keiren Westwood (8.03), Lucas Joao (7.67) and Michael Hector (7.58). Additional mentions for Adam Reach, Tom Lees, Morgan Fox and Steven Fletcher who all helped themselves to seven-plus scores as well. A four point gap to our weekend opponents Villa, we remain in the mix.